The Bina Puri Group always supports the government’s call to be a responsible corporate citizen. Our corporate social responsibility programme has been designed to appreciate our stakeholders and to give back our good fortune for mutual betterment. At Bina Puri, we highly encourage academic excellence and support knowledge-based activities by society. We provide financial aids for student development in Universiti Malaya through its Kor Sukarelawan Siswa/Siswi Polis Diraja Malaysia Universiti Malaya (Kor Suksis), Kuen Cheng High School in Kuala Lumpur, Chung Hua Middle School Port Dickson and annual contribution to the Perdana Leadership Foundation. 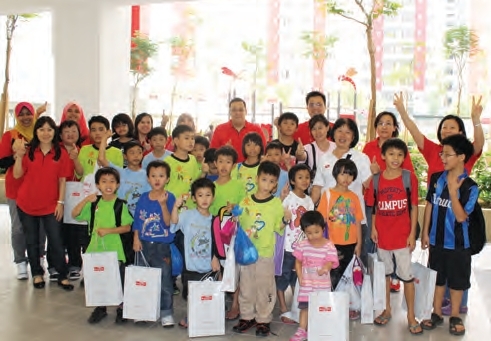 During the period under review, Bina Puri provided funds for community activities that include funds for Spastic Children's Association Of Selangor & Federal Territory, Persatuan Kebajikan Harmoni Kuala Lumpur Dan Selangor, Pertubuhan Membantu Pesakit Parah Miskin Malaysia, Ti-Ratana Welfare Society, National Council For The Blind, Malaysia and Kiwanis International Foundation. National Union of Journalists Peninsular, Malaysia South-South Association, the Chinese Chamber of Commerce & Industry of Kuala Lumpur & Selangor, United Nations Association Malaysia, Persatuan Anak Sarawak Semenanjung, the Federation of Hokkien Associations of Malaysia, and the Federation of Chinese Associations of Malaysia.